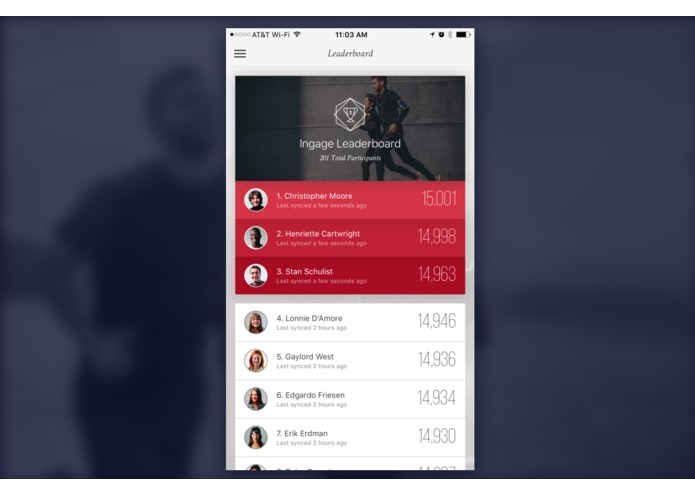 Ingage allows employees to participate in challenges at their own pace and sync with their favorite devices. Ingage is subset of a larger application that we intend to launch as a white labeled solution for Corporations that adheres to their individual healthy goals and risks. 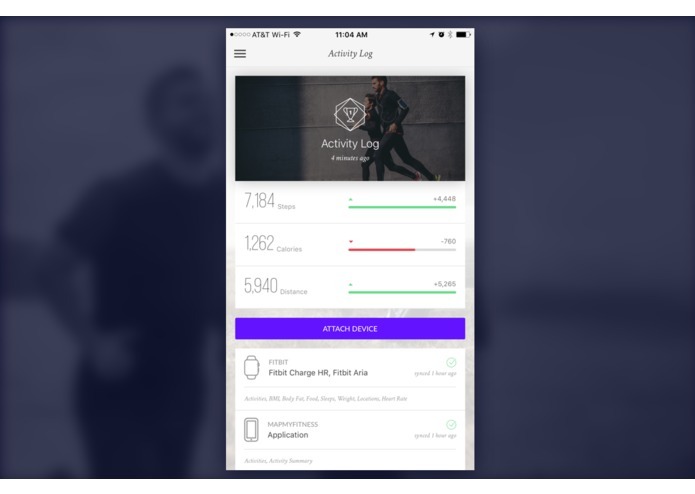 It can be used to manage the health and wellness of their employees by leveraging the popularity of fitness trackers and fun challenges that users can participate in at their own pace. This allows employees to collect points which they use to earn incentives from their company or to reduce their insurance premium costs. Ingage can sync with multiple sources such as Fitbit, Jawbone, FatSecret, etc to allow employees to track their activities and meals from multiple sources all in one mobile application. 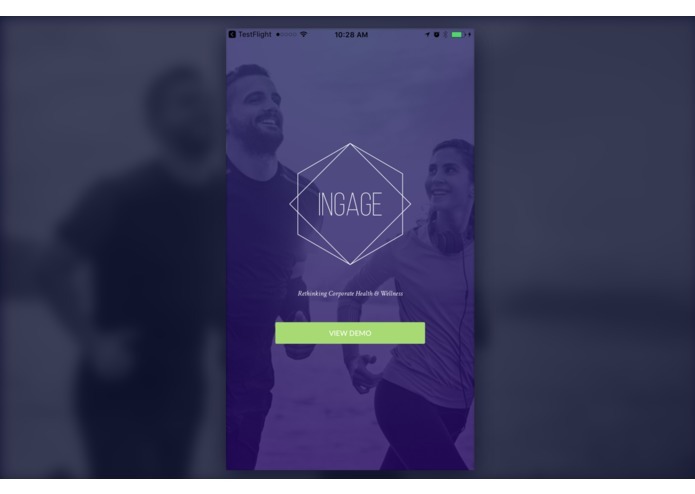 Ingage give employees a portal to engage in healthy challenges at their own pace, motivate others on their achievements and ... healthy spots. When a user logs in to the app, they will find a list of challenges that they can participate in. They are able to join the challenges they feel they can tackle when it's convenient for them. This is a huge time saver for Human Resources/Wellness Departments freeing up their time from creating challenges each day/week/month to try and keep their employees engaged. The Ingage platform also serves as a single entry point giving the employee a bird's eye view of their healthy choices. For instance, an employee might use Fitbit to track their activities such as steps and calories burned, but chooses to use Jawbone to record their meals. Ingage allows the user to see all of this data in one application. The platform is all about engaging users to stay on track with their healthy choices. 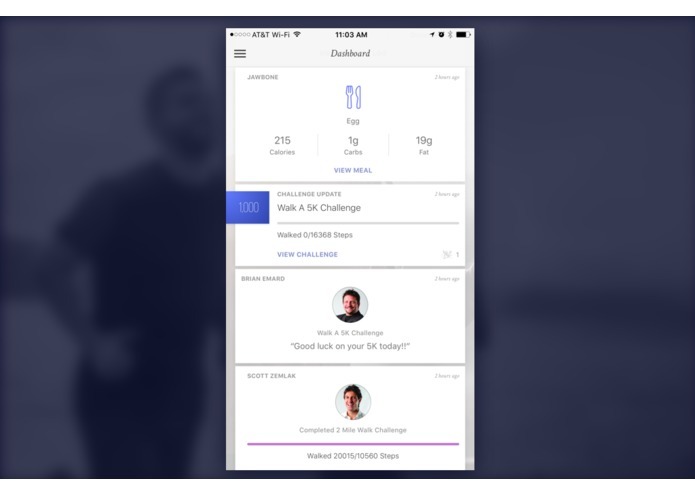 Users can send motivational messages to one another when a fellow employee is close to the finish line with one of their challenges, or congratulate them when they've completed their challenge. Ingage also allows employees to engage in healthy living outside the workplace by providing a list of healthy spots fellow employees have chosen to share with one another. This allows companies to leverage intervention strategies outside their own business. This is only the first step of the Ingage platform. The bigger picture stretches far beyond the mobile application for employees. Companies will have access to an admin dashboard with they can track the status of employees, create healthy events or interventions and immediately have their employees notified and capture confirmation/attendance, as well as integrating biometric data and HRA for a complete wellness picture of their entire company in real time.